Alcalá del Júcar Castle, locally known as Castillo de Alcalá del Júcar, lies next to the town of the same name, in the province of Albacete in Spain. Alcalá del Júcar Castle is situated on a spur in a bend of the Júcar river. The site was already used during Iberian and Roman times. 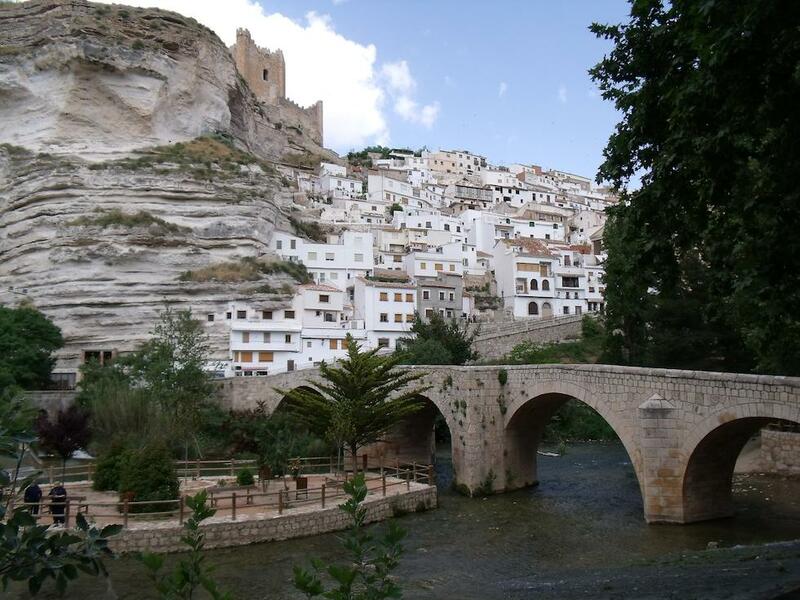 The castle was first built by the Arabs under Almohad rule during the 12th century. It was known as Axarach. The platform on which it was built was separated from the rest of the spur by an artificial moat. This Arab castle did not have a keep and it wasn't very strong, so it depended on other nearby castles; Jorquera and Garadén. At the end of the 12th century the area became prone to frequent incursions by Christians, who attacked in 1181 and 1182. 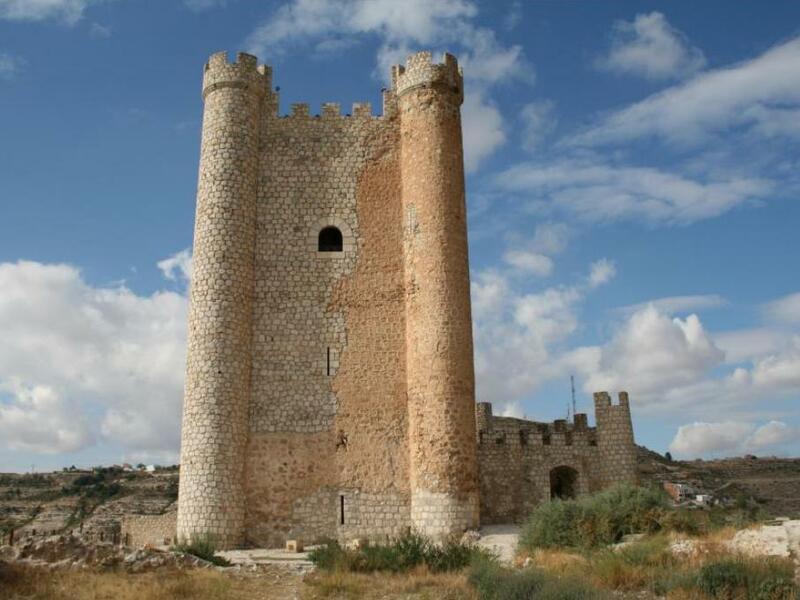 In 1190 they gained control over the area and Alcalá del Júcar Castle changed hands several times between Christians and Muslims. 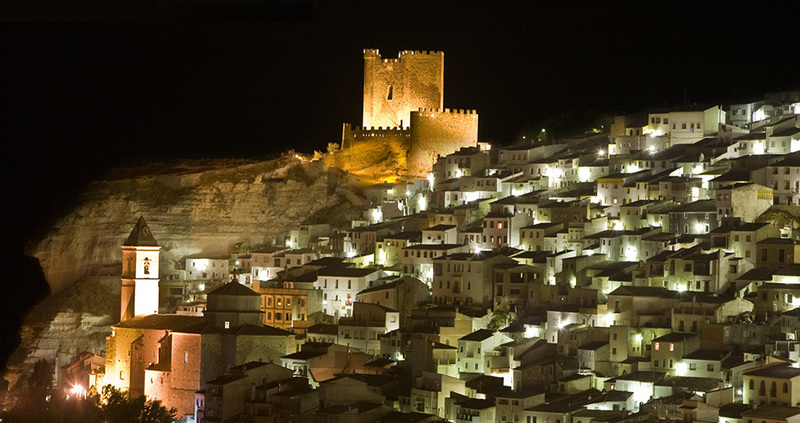 In 1211 the castle was taken by Alfonso VIII of Castile. He then left to attack Jorquera and Garadén, leaving a garrison in Alcalá del Júcar Castle. In 1212 the castle was lost to the Muslims again, only to be taken again by the Christians in 1213. Efforts to repopulate the area afterwards were not very succesful. In 1243 it was ceded to Lope López by the future Alfonso X of Castile. In 1364 the town had been sufficiently repopulated by Don Juan Manuel to be granted town rights. Later Alcalá del Júcar Castle passed to Don Enrique de Aragón and was incorporated into the March of Villena. The keep was built during the 14th century. In later centuries the castle fell to ruin. In the 2nd half of the 20th century the ruined keep was rebuilt into the structure we can see today. For the rebuilding a stone of a different, lighter color was used, so you can clearly see the difference between the original and new parts.